Half Shell Heroes wish Mister B a Happy Christmas! Half Shell Heroes are a range of toys from the Teenage Mutant Ninja Turtles aimed at younger children, perfect for 4yr old Mister B! So you can imagine how excited he was when he received a Christmas card from them wishing him a Happy Christmas! Although now I have him asking when I can take him to visit the turtles so that he can say thank you, bless him! 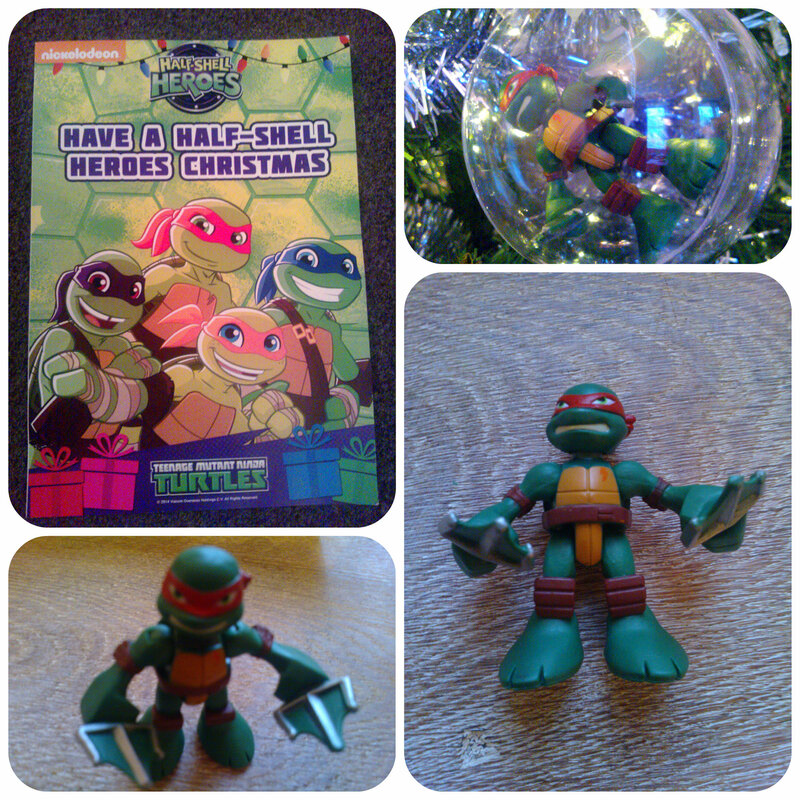 It came with a Christmas bauble to hang on the tree with a Half Shell Hero inside! These are really cute little turtle figures perfect for little ones with no small parts. There are a whole range of Half Shell Hero toys, great for younger turtles fans including figures and playsets, why not check them out for yourself? All reviews are my own and my family’s opinions and we received the card and turtle to write the review.